It's start day. Here is my choice. The Cyber Hobby T-34/76 1942, but I am going to save the cupola and make it the mouse ear type. A KV-1 in Finnish service. I'm not yet sure if I'll build green or three color camoflage version. Whichever it'll be, I'm using decals by Star Decal and Friul tracks. This will be my build for this campaign. I've not built an Academy kit before, so will be interesting to see how it goes together. 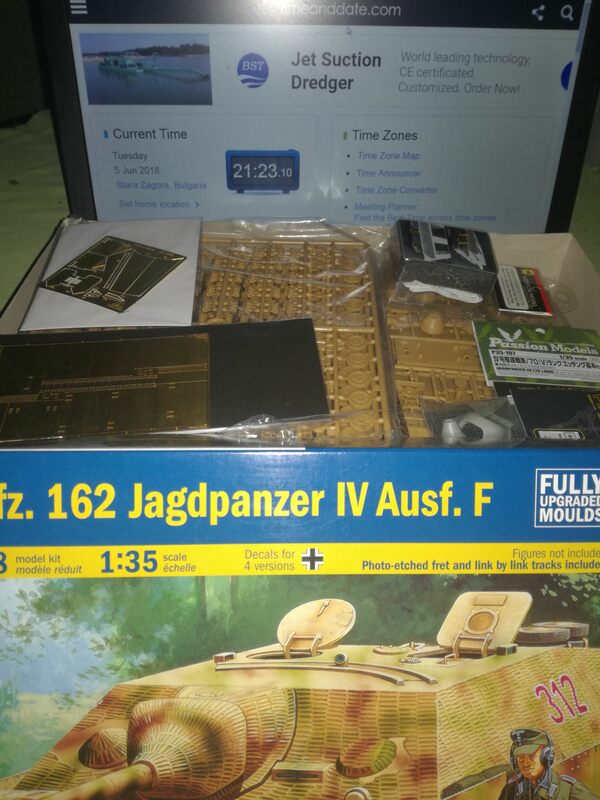 Since there is no kit review on this forum, I'll finish one before I start building. Also, need to decide which of the four options to build. while looking around for a project, i came across some m3LEE tanks that were used by german forces in WWII. apparently they were at first given to soviet forces in lend-lease, and after that captured. the change of 3 hands on a tank was kind of amusing to me, so that is my entry for this campaign (for start, anyway ). 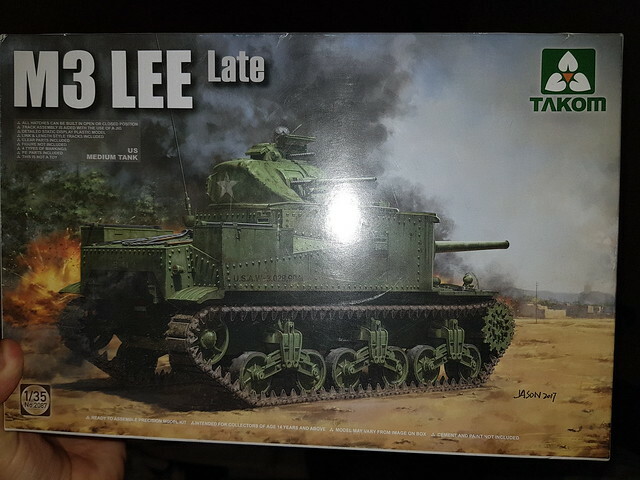 base kit is Takom 2087 M3 Lee (late), which fits perfect into the subject and includes the appropriate decals! i will be adding some PE and Kaizen T-51 tracks (on the way). I have two smallish fire extinguishers, the dry powder type, and a handful of various couplings and hose lined up. First two steps are done. The fit has been go, so far. Next the wheels. Just signed up for this. 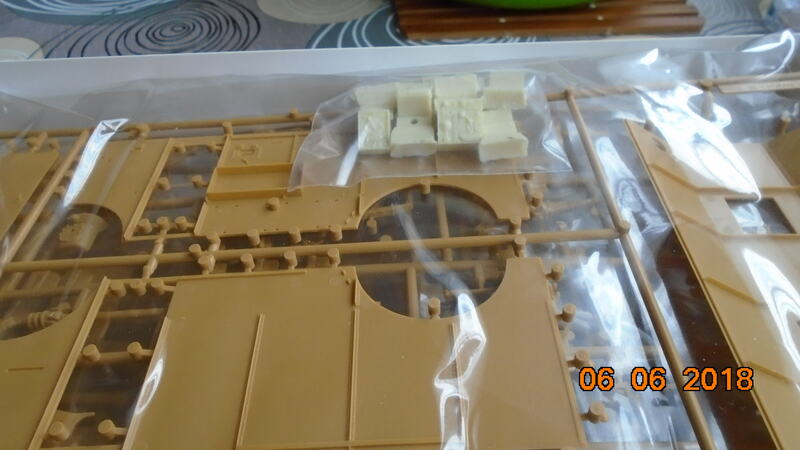 I'm going to build the Italeri M14/41. I won't get to this though until September. It will sport a Kangaroo on the turret! 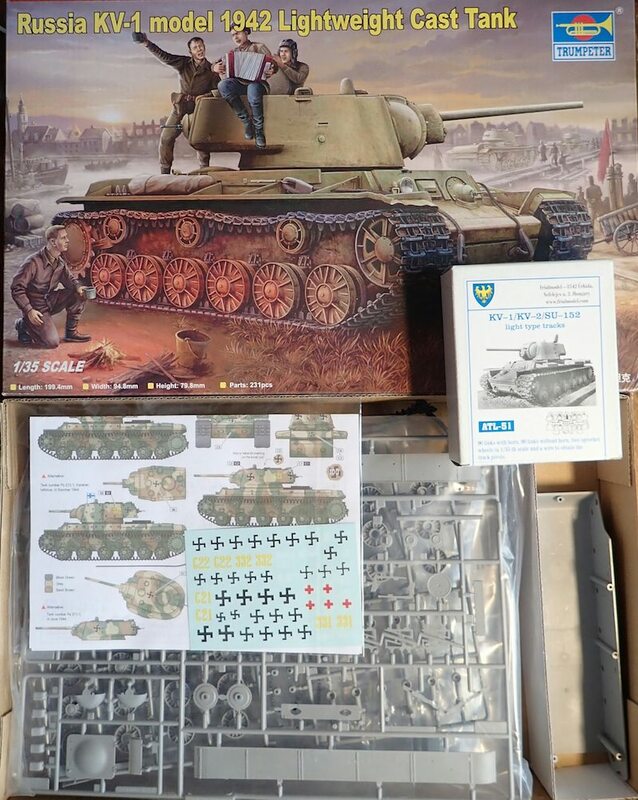 That was the third or fourth kit I bought when 2 years ago I returned to the hobby again.My plan back then was to convert it into Panzer IV/L70(V), so I sourced some goodies like metal barrel, PE,mantlet with cast numbers e.t.c. 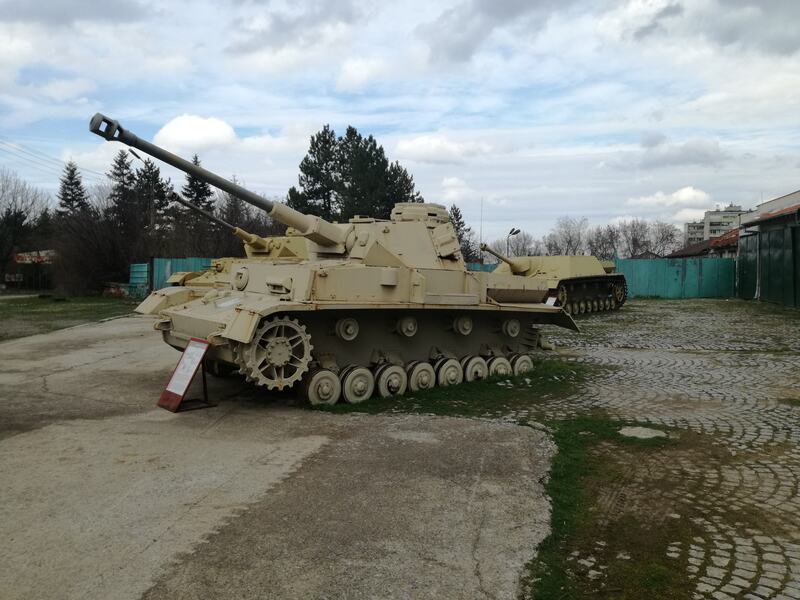 Documents exist, showing that one Jagdpanzer IV and one Panzer IV/L70(V)-among other trophy AFV's- were given from the Third Ukrainian Front to First Bulgarian Army on March 17th 1945.These 2 vehicles must have been captured by the Red Army before or during Operation Spring Awakening. 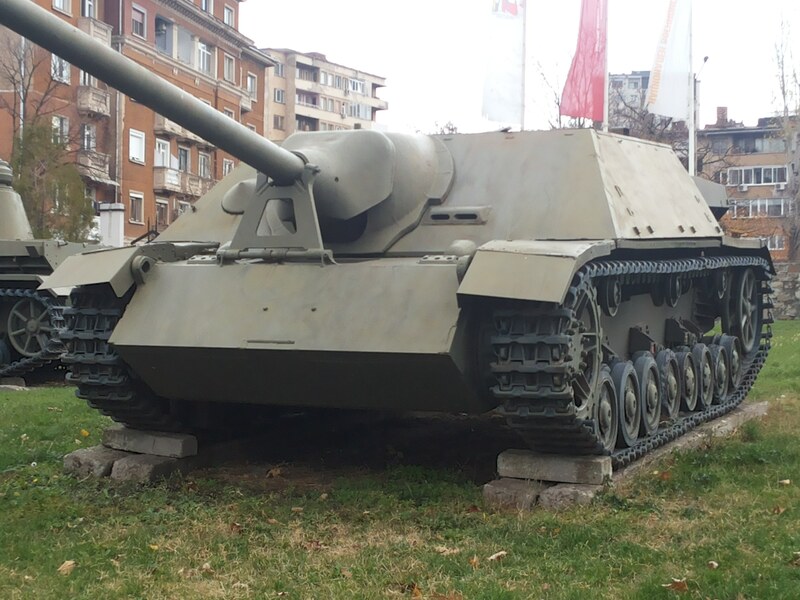 while the Jagdpanzer IV is part of the external exhibition of the Museum of Battle Glory in Yambol. I'll do the PanzerIV/L70(V), painted in 4BO with the big red stars on front and sides freshly overpainted by Bulgarian crews. A curiosity question. 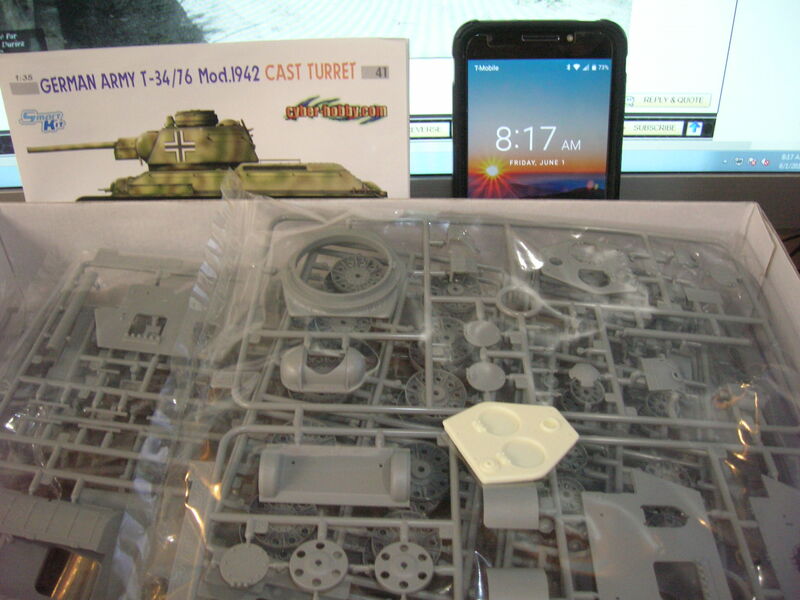 I have the Academy Plant 112 T-34/85 kit and it comes with 2 turrets, early and late. Does your kit have the normal Soviet turret top plate, or just the modified German top? After some hesitation, I chose a model with which to participate. 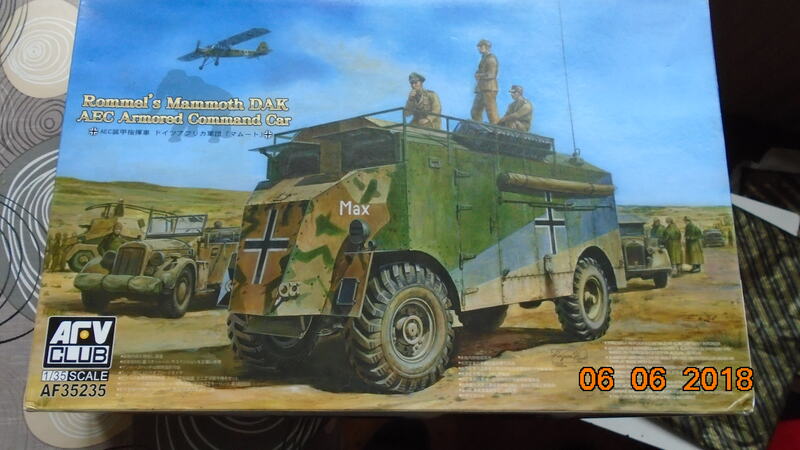 This AFV 23235 "Romel's Mammoth Dak AEC Armored Command car". These are the initial photos. Yovchev, I see you have come to a decision. Shouldn't "Proposal" be removed from the heading and this now be identified as an "Active Campaign"? Anyway, I have the road wheels completed and painted. I've decided to go with option 1. ...after some hesitation, I chose a model with which to participate. 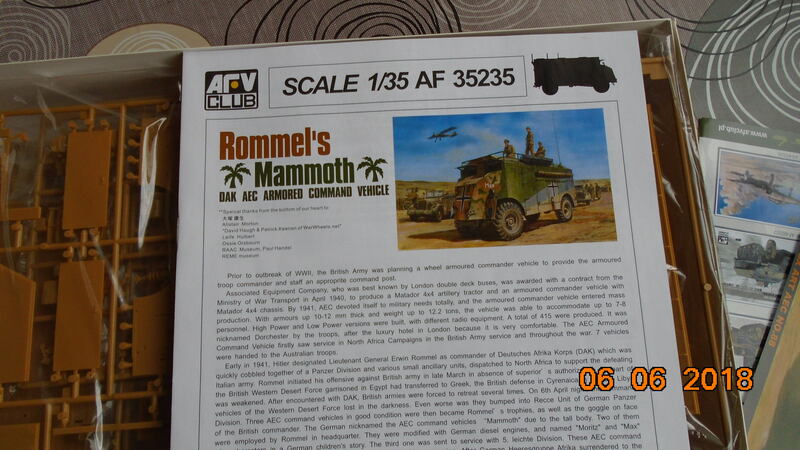 This AFV 23235 "Romel's Mammoth Dak AEC Armored Command car". So you finally received it, Kalin?!? Will you do ""Max" or "Moritz" out of it? -it should have had steel wheels on the first bogies, which evidently is not the case(yet I think this discrepancy can be attributed to vehicle overhaul before it went to the Museum). "Max". Although it would be interesting to have both. Hmm ... There are 20 more. I know what I'm going to do. I have most of the upper hull completed. Just a few bits left off to be painted separately. Next up is the turret. The main assembly is now complete. Painting will be next. ok, I'm ready to start! I've completed the painting and applied the decals. The decals in this kit are awful. They are very thick with very little adhesive capability. Using my hottest decal softener, it still had little effect on them.